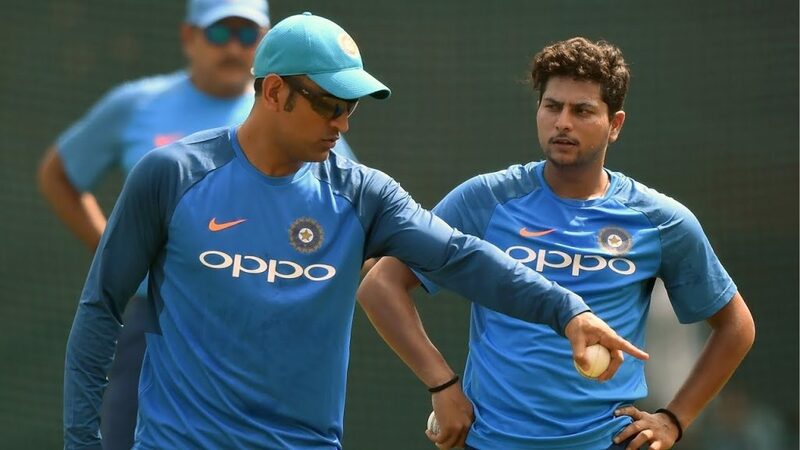 Kuldeep Yadav, one of India’s prominent spinners recently stated that former Indian skipper MS Dhoni’s ability to understand and study match situations is much better than the bowlers which made it a lot easier for them when the former skipper is behind the stumps. In a recent interview with India Today’s YouTube channel ‘Sports Tak’ Yadav mentioned that he was very lucky to get the opportunity to play along with MS Dhoni. “He always guides us bowlers, whenever he feels the need to get his message across he does it. 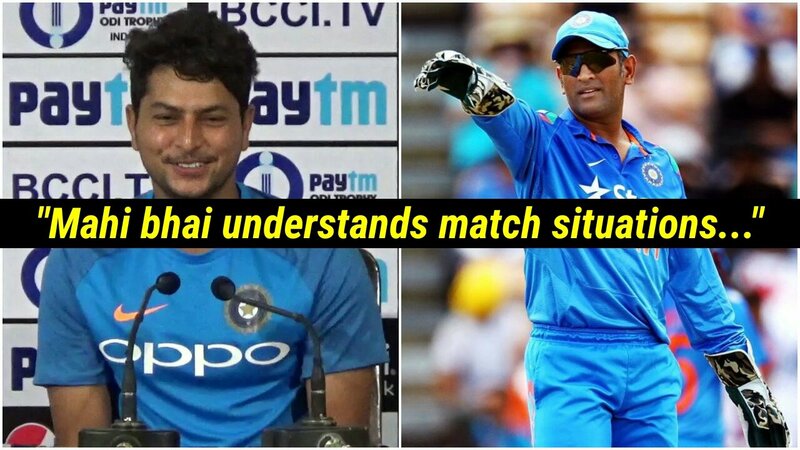 When the wicketkeeper supports you like that, it becomes easier for the bowler,” Kuldeep stated in the interview. “A lot of times, the bowler is not able to understand the situation but the wicketkeeper understands it better. Mahi bhai is just like that. He has so much experience. He tells gives us small details and even when he doesn’t, I make sure to ask him for guidance. Chahal and I feel very lucky to be playing with him. Bowling becomes easier with Mahi bhai behind the stumps,” he added. As far as the ICC World Cup is considered, Yadav stated that the men in blue are all prepared for the tournament. The chinaman bowler however expects teams like England and Pakistan to perform as well in the big stage. “We definitely have the chance to bring the World Cup home. But I feel England has a strong batting line-up as compared to the other teams. They will be playing in home conditions,” Yadav said. “I think Pakistan will also perform well in the World Cup looking at the way they have been performing. So I think England and Pakistan will be the ones to watch out for. We have a very good combination of bowlers in the side now. We train together and back each other which is the biggest plus point,” Yadav added. 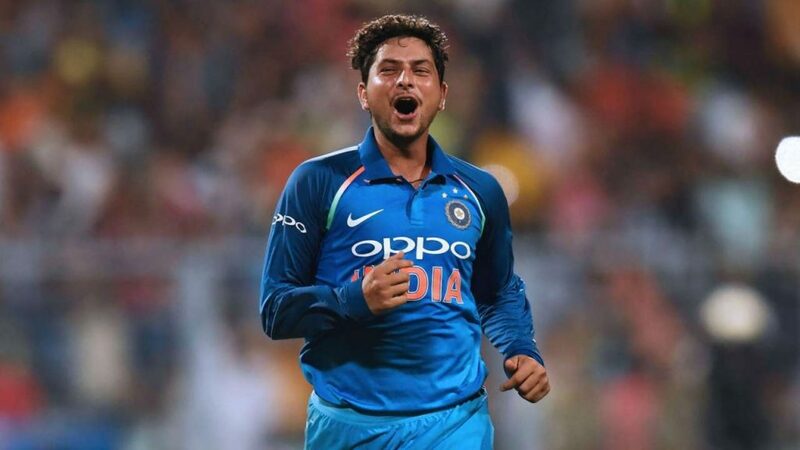 Kuldeep also spoke about his relationship with his current skipper Virat Kohli, lauding the 30 year old for backing not only him but also fellow spinner Yuzuvendra Chahal regularly. “Virat bhai always backs us. He understands our bowling styles be it spinners or fast bowlers. He is a very attacking captain. It feels good as a spinner because then we get to take wickets regularly. He supports not only me and Chahal but all the other youngsters in the team,” Kuldeep mentioned. There are a lot of factors that make MS Dhoni the most reliable person on the field in terms of understanding the match situation. Firstly, he is a very good observer which helps him to analyze the situation better than anyone on the field. Secondly, it has been observed on many occasions that the former skipper has a really good sixth sense, which has brought the team on the verge of winning on numerous occasions. Last but not the least, his cool and calm nature brings the added bit of composure as far as the team is concerned. There have been instances where a bowler gets frustrated due to a couple of boundaries by the opposition batsman, but even in such situations of high pressure, Dhoni never fails to make sure he is calm and composed throughout which yet again helps him understand and read the match situation better than everyone.